Introduced in 2015, ArtsWave’s Blueprint for Collective Action provides a focus for community investments and strategic initiatives for the next 10 years. With the help of tens of thousands of donors in the ArtsWave Community Campaign, the Blueprint aims to leverage the power of the arts to help build a vibrant economy and more connected community in the Greater Cincinnati/Northern Kentucky Metro Region. We believe when the arts reflect and celebrate the diversity of our community, residents build a greater understanding and appreciation of cultural differences, and we seek to actively promote access, equity, and inclusiveness in our grantmaking. 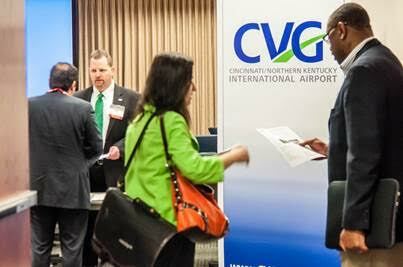 At the Cincinnati/Northern Kentucky International Airport (CVG), we are deeply committed to our mission of becoming the airport of choice to work for, fly from and do business with. To do this we must foster a culture that appreciates individuality and diversity, while encouraging innovation and continuous improvement. 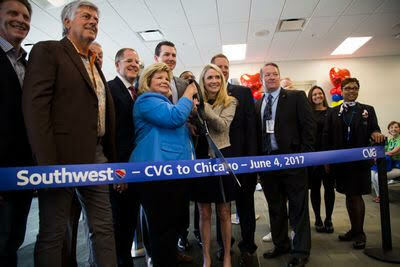 To that end, we host sessions on diversity and inclusion training for our employees and stakeholders; provide terminal overviews and videos on our website (cvgairport.com) that assist with various accessibility challenges; and serve as the site for Special Olympic events. We strive to create a CVG that represents the passions and values of the Greater Cincinnati and Northern Kentucky region and encourages each of us to be the best versions of ourselves. We’re only as strong as our communities, and at Dinsmore, we appreciate the value of giving time in the service of others. We’re as proud of the passion they demonstrate as much as the contributions they make. Each year, Dinsmore performs a wide variety of pro bono work using our training, experience and skills to provide legal services to those who cannot afford adequate legal representation. 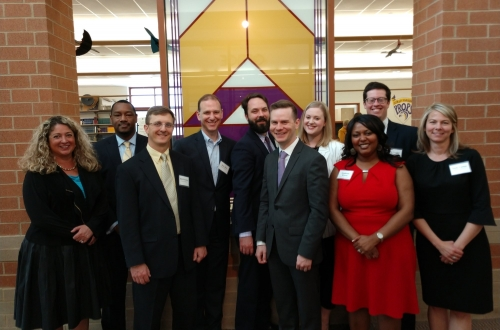 In every location we serve, our attorneys and staff volunteer their time on community service and initiatives, ranging from larger coordinated causes to individualized efforts within each community involving local charities, food banks and non-profit organizations. 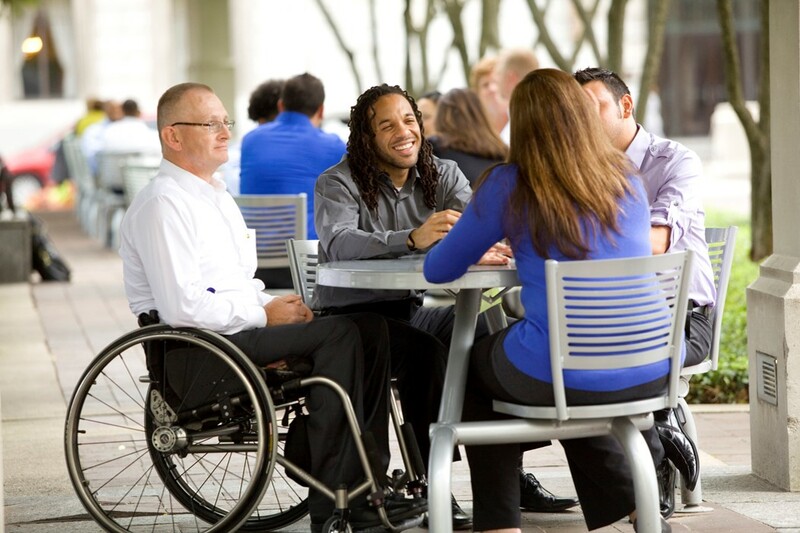 At Fifth Third inclusion and diversity are essential to living our core values as we serve customers, deliver financial performance and lead in building an engaging workplace, a strong supplier base and vibrant communities. We are committed to talent diversity at every level of our company, from our Board of Directors to our Executive Team to our over 18,000 employees. We have business resource groups that celebrate the differences and unique aspects of life for our employees; the Project SEARCH program, which is a school-to-work transition program for individuals with intellectual and developmental disabilities; an Inclusive Art project focused on raising the visibility of diverse artists; and a recruitment strategy that specifically focuses on recruiting and retaining young professionals from multi-cultural colleges. We also have a supplier diversity program where we strive to increase spend with diverse suppliers, increase our number of diversity suppliers and increase diverse supplier representation in challenging spend categories. At Huntington, we see it as our responsibility to look out for people. There’s a common bond that connects us all as humans, and together, we can make this world better. We believe looking out for people naturally includes embracing diversity and being inclusive. That’s why Huntington has built its culture around a philosophy of Welcome – welcome to all. Health disparities exist in the Greater Cincinnati region. Life expectancy in one ZIP code may be 25 years less than in a neighboring ZIP code. African American, Latino and Appalachian adults in our region report worse health than White adults, and adults who earn less income have worse health than those who earn more. These persistent inequities impact the physical, social and economic health of our entire region. To achieve our vision of being the healthiest region in the country, Interact for Health values health equity, and supports policies that address health disparities by equipping vulnerable populations with the resources needed to be healthy. Messer Women In Construction (MWIC) rolled up its sleeves for a day of service at Seven Hills Neighborhood Houses in the West End on October 6, 2017. This day focused on bringing women in our company together – representing a cross-section of talents and Messer regions – to tackle the wish list service projects identified by the agency. We aspire to be one of the most diverse companies in the world, which makes sense for a business like ours. The people who use our products every day are as diverse as the world is diverse – and the more we reflect them, the better we understand and serve them. We believe the game-changer is when we are fully inclusive – enabling employees to bring their unique selves to work each day, having a united commitment to bring out the best in each other, and winning when every talent is used and every voice is heard. We care deeply about our positive impact, always raising our game to positively improve people’s lives through diversity and the power of inclusion inside and outside P&G. At Cintas, diversity is about more than helping our 40,000 employees, whom we call partners, and 900,000 customers get ready for the workday. It’s about continuously evolving and planning for an even better tomorrow. While our business landscape is constantly changing, being prepared for the future can help us be agile in meeting the ongoing needs of our partners and customers. 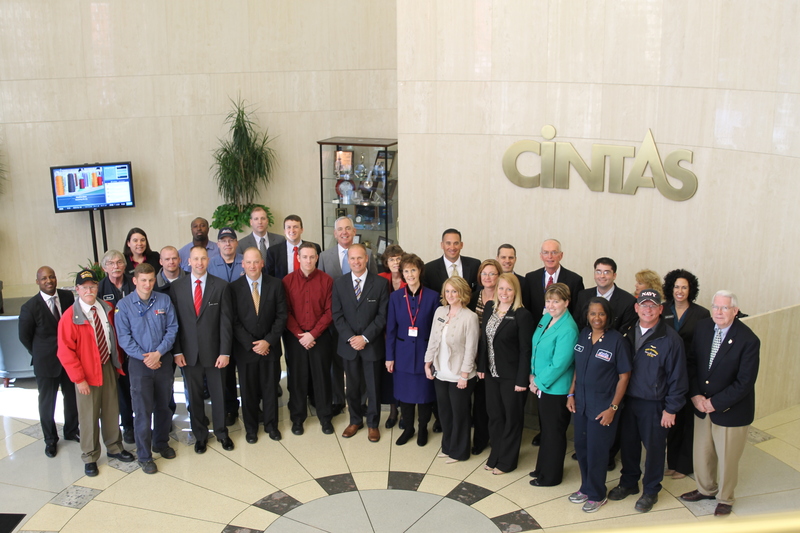 This is why Diversity and Inclusion are important core values for Cintas. We’re committed to diversity in its many dimensions, including diversity of thought, abilities, ethnicity, race, gender, age, experience, sexual orientation and much more. Our commitment to diversity and inclusion goes far beyond complying with legal requirements. We view diversity as a key driver of our business growth and success.